Check out one of our many books on houseplants for more information about tending holiday plants. The one I consulted is Taylor's Guide to Houseplants [635.965 TAY]. I'm on a number of different library/informational listservs. Most of them direct me to usable information. Today, I was led to a website that is just a wee bit bizarre, but still, rather interesting. It's called Dead Man Eating and its reason d'etre is to outline the last meals of executed prisoners! Take a few minutes today and think about what you might pick for your last meal. I'd probably opt for comfort food such as macaroni and cheese (homemade, not the blue box stuff). I like my mac and cheese baked with tomatoes and crusty on top. 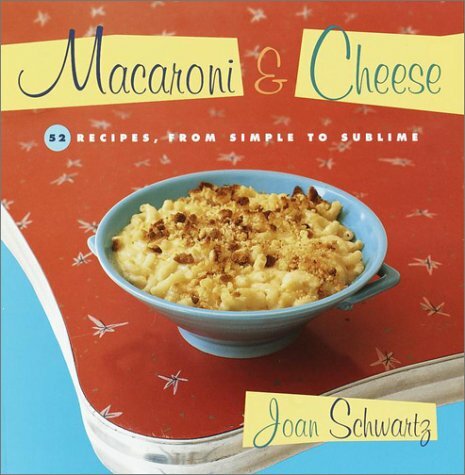 We have a book that contains nothing but macaroni and cheese recipes--Macaroni and Cheese: 52 Recipes, from Simple to Sublime by Joan Schwartz [641.822 SCH]. It's here at the library in case you're in need of some mac and cheese comfort! Have you seen the Microsoft search engine Ms. Dewey? Ms. Dewey, a sort of virtual reference librarian (ha! ), makes comments about your searches, lack of typing skills, etc. To tell you the truth, not being an adolescent male, I don't get the Ms. Dewey appeal. After about 20 seconds, her pouty face, and her constant sighs, become downright annoying. Microsoft's simpler version of the search engine, Live Search, is much quicker and the results are easier to read. I'll stick to Google, Dogpile, or better yet, I'll ask an in-the-flesh reference librarian for help if I need it! I found out about Ms. Dewey from a commentary on NPR's Marketplace. The commentary focused on "viral marketing." Viral marketing is a word-of-mouth method of getting interest going in a product. NPR got me to visit Ms. Dewey, so I suppose viral marketing was somewhat successful. I won't go back, though--it's the product itself that has to prove itself and Ms. Dewey needs a makeover! It's Harry Potter and the Deathly Hallows. Supposedly the manuscript hasn't even been delivered to the publisher, so there will be a bit of a wait. While you're waiting, take a look around J. K. Rowling's website, it's a fun place to visit! The new Charlotte's Web movie has opened this week. I don't know if I'm looking forward to it or not. It's like when the new Charlie and the Chocolate Factory came out. I was anxious to see what Johnny Depp did with the role of Willy Wonka, but I really liked Gene Wilder's version. The most I can hope for, with the 2006 version, is that White's appreciation of the world comes through. A very merry Christmas to all who celebrate, and a restive day off to those who don't! 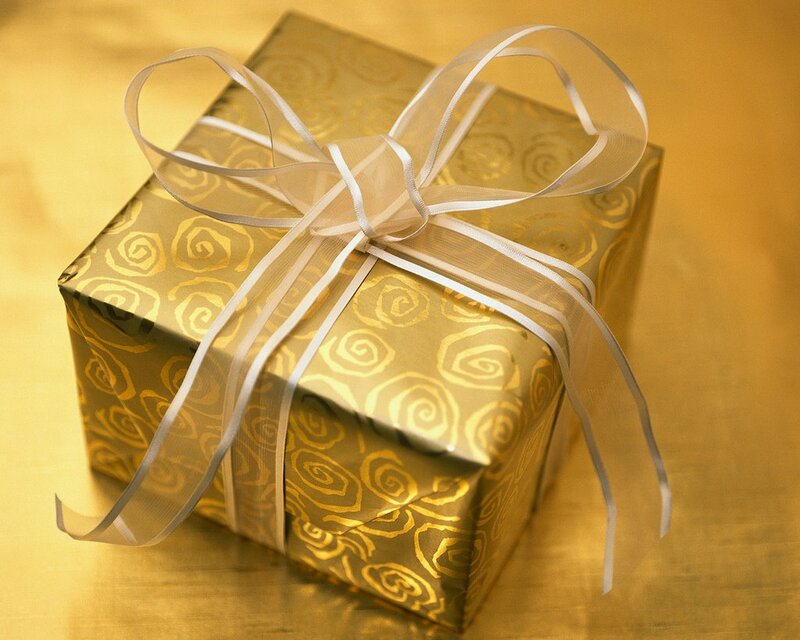 If you receive a gift of books, DVDs, or CDs this holiday season, please consider "regifting" them to the library. Even if you've read or listened to them, we will accept them. Here's what we do--we check the items against our catalog. Those items that we don't own, we may put into the collection. We have a Collection Development Policy that we adhere to, and items are added in accordance with this policy. If we already own the item, we may check the condition of that item and replace it as necessary. 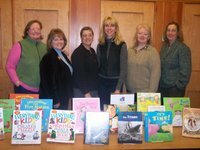 Those items we don't add, will go to the Friends of the Library of Windham (F.L.O.W.) for their sale. Often we send duplicate titles to other libraries in the state. Some libraries have VERY small book budgets and these "regifts" are much appreciated. If you're having uneasy feelings about regifting, fear not, regifting is now socially acceptable. "Regifting" was also chosen as a Word of the Week in the Macmillan on-line dictionary. So regift away! The library has several holly bushes outside and they are quite lovely at this time of year. I looked at Hollies: A Gardener's Guide [635.9773 HOL] published by the Brooklyn Botanic Garden, and found out that: 1. 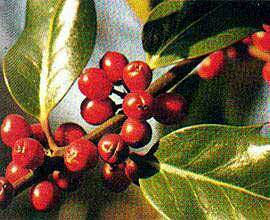 The American Holly is native to the eastern U.S. and can grow 50' or taller. 2. Hollies are available with white, cream, yellow, orange, red, or black fruits (berries). 3. Hollies come in two sexes and only the female plants have berries. 4. In Denmark, the holly is called "stickpalme." That makes a whole lot of sense to me since I hung a bunch of holly on my front door and have the holes in my hands to prove it! 5. There are more than 400 varieties worldwide! This holiday season don't forget that our furry companions can be put in harm's way when we decorate and celebrate. I'm sure you've heard that chocolate can make a dog very sick. (We used to think that it caused brain damage, and our standard joke was "how could you tell?" We kitties don't always think much of the intelligence of the canine branch of the pet family!) But did you know that the water in the Christmas tree stand may contain chemical fertilizer, or that it may harbor bacteria if left standing too long? I know several canines who wouldn't think twice about sucking up tree water, so it's up to you to keep your friend away from the tree! The ASPCA has a whole list of holiday hints. Check it out and make sure the holidays are happy for everyone! It's nearly the end of 2006. Have you had a good year job-wise? If not, now might be the time to gear up for a job search. We've received the 2007 edition of What Color is Your Parachute by Richard Nelson Bolles [331.128 BOL]. The book is in its 36th edition, so Bolles must be doing something right! You can also go to Bolles' website for more help. 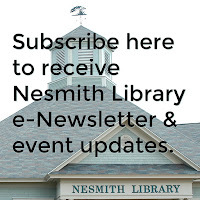 While you're on-line, visit the library's website for the employment page that is full of links put together by our reference librarian, Lois Freeston. I was saddened by the news that Peter Boyle had passed away. He was truly a comic genius. I'll never forget his portrayal of the monster in Young Frankenstein. And as the irascible father, Frank, in Everybody Loves Raymond, Boyle stole the show. He will be missed. Books are always a great choice for gift-giving (as well as gift certificates to book stores). But what to get? Here are a few recommendations: Water for Elephants by Sara Gruen. This novel is the story of a young man who leaves Cornell U. on the eve of obtaining his veterinary degree. After a tragic accident, in which both his parents are killed, he takes to the road and ends up as the veterinarian for a traveling circus. The book is a fascinating look at circus life in the 1930s. I loved it. Both these recommendations would probably appeal more to women than men, so I'm inviting readers to make recommendations of books for men, as well as recommendations in general. Just use the "comments" button below. You've heard the expression, "Idle hands are the Devil's workshop." Well, keep that Devil away and get busy! Try knitting. Knitting is back in fashion. You know something is an acceptable activity when kids on college campuses are doing it! If you're a complete novice, try one of our "how-to" books such as The Everything Knitting Book by Jane Eldershaw [746.43 ELD]. Advanced knitters may be interested in two books that we've recently added to our collection: Knitting Loves Crochet: 22 Stylish Designs to Hook Up Your Knitting with a Touch of Crochet by Candi Jensen [746.43 JEN] and Puppyknits: 12 QuickKnit Fashions for Your Best Friend by Jil Eaton [746.432 EAT]. Your dog will keep warm, your hands won't be idle, and the Devil will have to look for someone else to snare! Today is "Holiday Dessert Potluck" day at the library. I can hardly wait to have a little nibble of each treat! If you are looking for a recipe for a holiday goodie, you can borrow one of our bazillion cookbooks, or, you can peruse our collection of magazines. Here are just a few magazine titles we carry that will help you endulge your holiday sweet tooth: Better Homes and Gardens; Country Living; Family Circle; Ladies' Home Journal; Taste of Home; Taste of Home's Light and Tasty; and Weight Watchers. And don't forget to wear your "fat pants"--I promise I won't laugh! 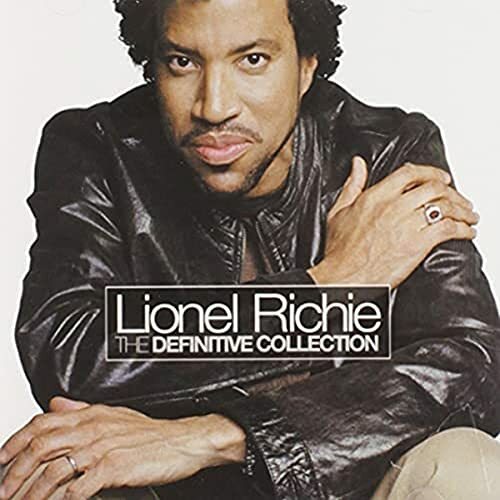 I heard a story on NPR that made me want to listen to some Lionel Richie songs! Richie has never been a favorite, but perhaps it's time to reevaluate. The NPR story discussed the popularity of Richie in the Middle East. As a matter of fact, the interviewee said that Richie is the only thing that Sunnis and Shiites seem to agree on! If you want to give Richie a listen, check out The Definitive Collection [CD MALE VOCALIST RIC]. Day of deceit: the truth about FDR and Pearl Harbor by Robert B. Stinnett [940.54 STI]. Pearl Harbor ghosts: December 7, 1941- the day that haunts the nation by Thurston Clarke [940.54 CLA]. The USS Arizona: the ship, the men, the Pearl Harbor attack, and the symbol that aroused America by Joy Waldron Jasper, James P. Delgado, and Jim Adams [940.54 JAS]. Did you know that NH is a hotbed of literary talent? 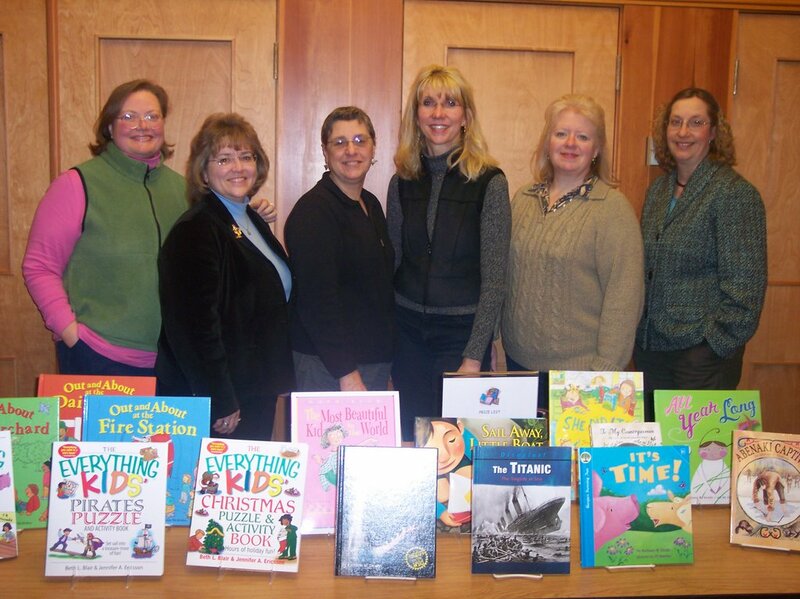 Last night the Nesmith Library hosted a booksale and signing featuring six NH children's writers. From Salem, there was Kurious Kitty's alter ego, Diane Mayr. Diane has published four books and is looking forward to next fall when Run, Turkey, Run! will be released. Bedford's Muriel Dubois is the author of two books about famous NH people, Abenaki Captive, a story about John Stark's early life, and the just released, To My Countrywomen: The Life of Sarah Josepha Hale. Sarah Hale was the author of "Mary Had a Little Lamb," the first American woman editor of a magazine, "Godey's Ladies Book," and hailed from New Hampshire. Both Muriel, and Kathy Deady of Manchester, have published a gazillion nonfiction books that are found in school libraries around the country. 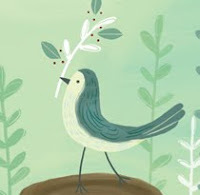 Kathy's latest picture book is All Year Long, a delightful romp through the seasons. Janet Buell, from Goffstown, recently published Sail Away, Little Boat, a lyrical picture book celebrating nature. Sadly, Janet's series on bog bodies, ice maidens, and other gruesome topics, is no longer in print. Andrea (Andy) Murphy is the author of Out and About at the Dairy Farm. Andy used a NH dairy run by women farmers as the model for her informational book. Andy recently adopted two puppies, so we are looking forward to the picture books that will undoubtably be forthcoming! Jennifer Ericsson, from Concord, has published many delightful picture books including She Did It!, the story of a family of girls. One of the advantages of a large family is always having someone else to blame! If you missed last night's signing, you can come down to the library and borrow the books written by these fabulous women. A week or two ago I ran on about the internet. Well, guess what? I'm gonna do it again! This time I'll tell you about one of our on-line databases (informational resources)--eLibrary. I had heard something on NPR about converting music from cassettes to audio files on my computer. I looked it up at www.npr.org. I didn't want to listen to it because with technical stuff, I like to see things spelled out for me. I found that a transcript was available for purchase. I'm not going to say I'm cheap, but... Then I remembered that eLibrary had transcripts. I went to the library website, clicked on "on-line databases" and from there it was only a matter of seconds before I found what I wanted. eLibrary allows you to narrow your search to only transcripts. Not everything is available, but an extraordinary number of tv and radio programs are! If you want to access the databases from your home, grab your library card and come down to the library to pick up a user name/password list. The holiday season often brings forth music from those who won't sing at any other time of year. That's really a shame since music is a wonderful stress reliever! If you're going to sing for the holidays, you might as well get the words right. Borrow one of our songbooks such as John Langstaff's collection, The Season for Singing: American Christmas Songs and Carols [783.65 LAN] or Christmas Songs for Kids [783.6 CHR] and sing up a storm! If you prefer singing with a crowd, invite friends over, slip the sing-along VHS Songs of the Holiday Season [781.723 SON] into your machine, and start heating the milk for hot chocolate! If you want to simply listen, check out our extensive collection of CDs [CD HOLIDAY]. You're sure to find something to soothe your savage beast. 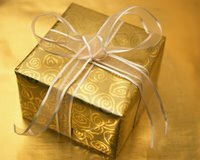 Aside from the obvious holiday gift giving, people often want to donate to charities at the end of the year for a tax write-off. For some tips on donating to charitable organizations, check out the Better Business Bureau's Wise Giving Alliance site. A personal favorite charity is Heifer Project. I love the idea that I can give someone a flock of chicks or ducks and perhaps impact generations!